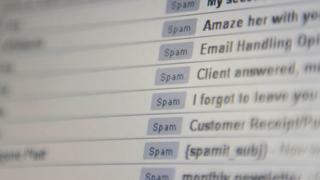 A US judge has dismissed a libel case that revolved around one man’s claim to have invented email in 1978. Shiva Ayyadurai sued news website Tech Dirt earlier this year after it published several articles denying his claim. The judge overseeing the case said email was impossible to define precisely, meaning Mr Ayyadurai’s claim could not be proven. Mr Ayyadurai said he planned to appeal against the decision. Mr Ayyadurai said Tech Dirt had libelled him, inflicted emotional distress and harmed his ability to make money from his accomplishment. He sought $15m (£11.5m) in damages. The judge disagreed and said in his ruling that because the history of email was in doubt, questioning Mr Ayyadurai’s claim to be its inventor was not libellous. Tech Dirt said it was “pleased” with what was a “big win” for free speech. But it was “disappointed” with one aspect of the ruling, in which the judge said it would have to pay its own legal costs.